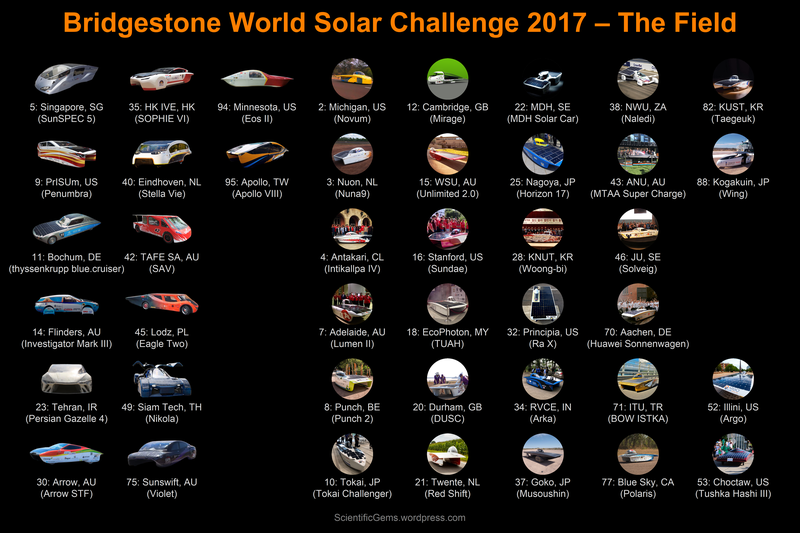 Above is a preliminary version of a poster showing World Solar Challenge teams (click image to zoom). I will update the poster as more cars are revealed. Cruisers are listed first, then Challengers, and finally the Adventure class. 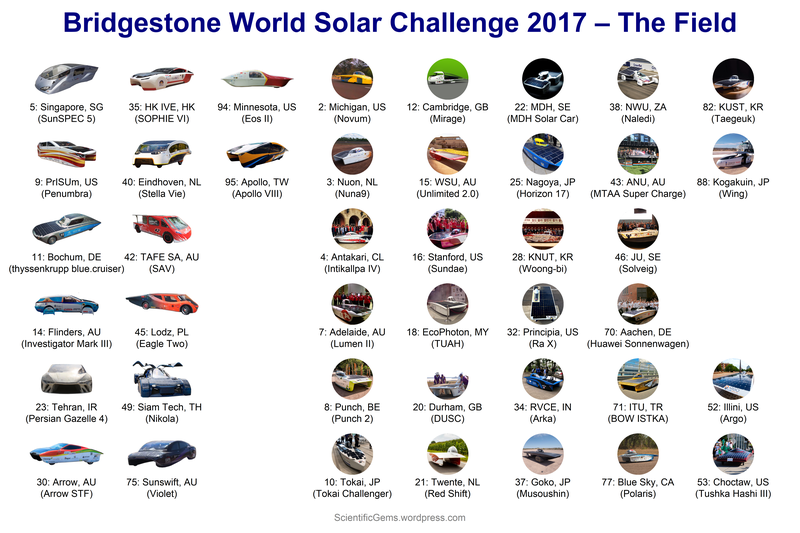 I have updated my World Solar Challenge teams list to take into account recent news. I think that the list is up to date as of today. I recently read the 3rd (2008) edition of John Henry’s The Scientific Revolution and the Origins of Modern Science – an excellent, though very brief, survey (it is 114 pages, not including the glossary and index). Henry tends to see considerable continuity between the “natural magic” of medieval thought and the emerging scientific viewpoint, which was based on experiment and mathematical analysis. Personally, I think that he overstates the case a little. It is interesting that he never mentions Giordano Bruno, who was one of those who held on to the older magical view (then again, Bruno was not a scientist). Henry also puts emphasis on the emerging use of scientific instruments, such as the microscope and the telescope. I was a little disappointed in the discussion of Galileo, which did not seem quite correct, but the main flaw in this book is its brevity. I’m giving it three stars. 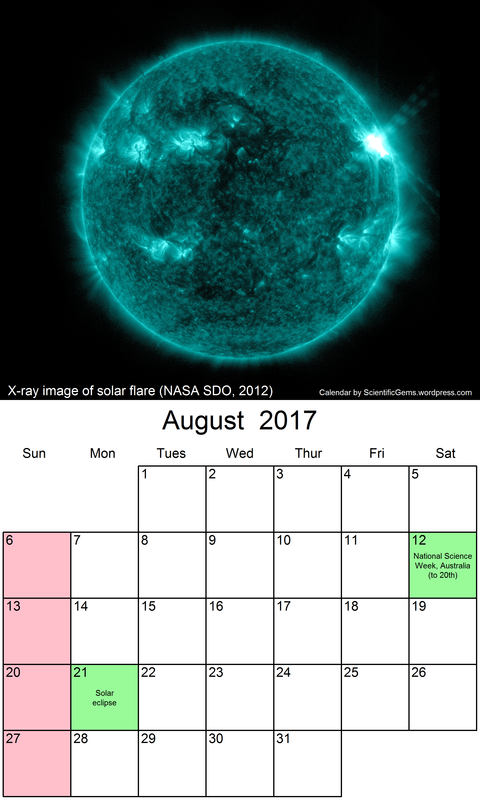 Above, the calendar for August (click for hi-res image). See more calendars here. During my travels, I temporarily have Internet access for a day or two, and I see that the official World Solar Challenge team list is up. Some teams in my list seem to have dropped out (most notably Megalux, sadly), while other teams which I have never heard of have appeared. I will update my list after my travels are over. Meanwhile check out what Mostdece has to say. 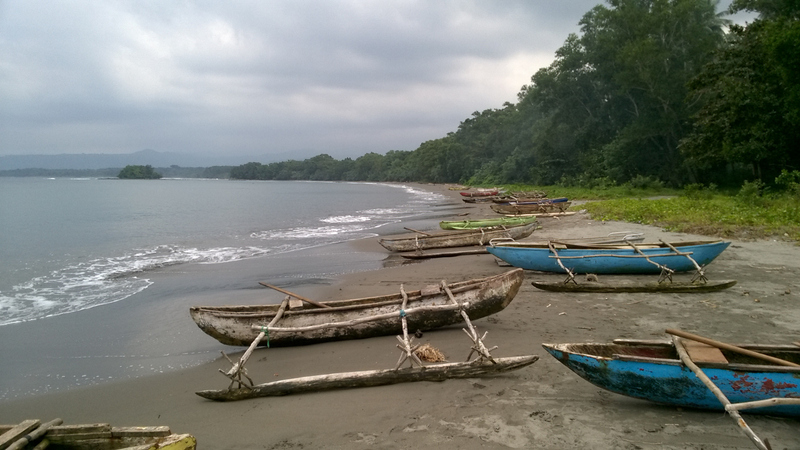 As I continue to travel, this blog will run on queued-up posts for a few more weeks.